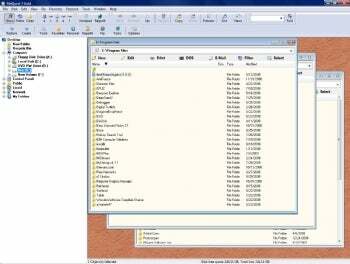 FileQuest 7 Gold Can Replace Explorer...But Should It? FileQuest 7 Gold ($45, 50-day free trial) enters the fairly crowded field of replacements for Windows' default File Explorer, and, sadly, it fails to make it into the top tier. FileQuest 7 Gold has features Windows Explorer doesn't--but its interface can be confusing. First, the basics: FileQuest 7 Gold allows you to open multiple explorer windows in an MDI-style interface, browse the folder tree, filter windows according to various criteria, and so on. As with most other apps in this category, it includes a preview pane to view images or PDF files, which can be activated or deactivated with a quick keystroke. It has a number of useful features for organizing files, such as virtual folders which can be defined by the user ("All PDF files") or "All files greater than 10 MB", for example.) FileQuest 7 Gold comes with a number of pre-defined "Personal" folders to get you started, such as Movies or Big Files. So what's the problem? For starters, I found the program a bit sluggish. The "feel" of an interface is a subtle one, but things like scrolling, screen refresh, window drag, and so on all felt laggy to me, compared to similar programs running on identical hardware. Second, the interface in general is cluttered and confusing--there are many layers of nested dialog boxes to achieve simple tasks, there is little in the way of pop-up help, and error messages (which occur far too often) are rarely useful. As a perfect example, the "Help" menu contains no fewer than 15 items, only one of which actually produces Help. In order to stop FileQuest 7 Gold from rearranging your windows after you've resized them, you must drill down into options and set "Auto Layout" to "None". The predefined "Movies" folder only looks for .avi files. These are just two examples of niggling frustrations which undermine the user experience and make it difficult to take advantage of the program's functionality. If there were no other programs in this category, FileQuest 7 Gold would be worth it for what it does offer, but compared to UltraExplorer or freeCommander, it's hard to see why one would choose this program over another.